HobbyKing CA (Cyanoacrylate) is every bit as good as the brand names. Mixed at a 95% concentration and with a shelf life of 1 year plus a secure screw top steel nib container will ensure this glue stays fresh, right to the very last drop! 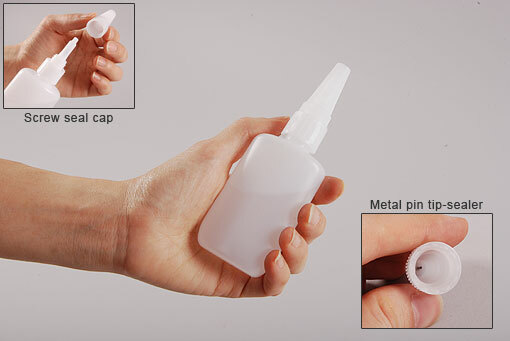 HobbyKing CA comes in a 50g bottle, the total weight of the bottle is around 70g. Usage: This is a thick CA, great for small gap filling or used on joins which dont mate perfectly.